Mumbai: Even as a growing number of mosques across the globe are going "female-friendly" by offering more space to women and seeking their involvement in worship places, in India and the subcontinent women inside mosques are still considered something 'extraordinarily bad' and hence it is a prevalent practice to prevent them from entering mosques. All efforts to change the prevailing situation and persuade the clerics, including those associated with the All India Muslim Personal Law Board (AIMPLB) – the highest body and supposedly the only united platform of Muslim clerics and scholars in India, have so far been miserably failed. However, Arif Shah, an architect in the field since last twenty years, has come out with a unique idea to convince the mosque trustees so that they have a suitable and sufficient space for women in newly built mosques. "When someone approaches me with a request to design plan for a new mosque, my condition is loud and clear. I will take the assignment only if you agree to provide suitable and enough space for women worshippers inside the mosque. If you are ready, well and good, if not, it's your choice", Arif Shah said while talking to ummid.com. "I am not asking them to do anything new. It was the tradition of Prophet Muhammad (peace be upon him) during his lifetime, during the rule of different Islamic Caliphates and also the practice of his noble companions to invite women worshippers in mosques exactly like their male counterparts", he added. "Islam never discriminates between men and women. When Muazzin gives the call for prayers, his call is for men, women and everyone", he said. "The most painful experience is when we are travelling. We enter into a mosque for prayers and my wife has to wait outside as the mosque authorities do not grant her permission to enter. The Prophet (Peace be upon him) did not do this. His noble companions never did this. Who are these people to do this?" he asks. Hundreds of thousands of mosques are spread across the length and breadth of India and the sub-continent. But except for a small number, in majority of mosques women are prevented from offering prayers inside. This is in total contrast to the entire Arab world, Europe, Africa, Americas and even in China and Russia, where mosques have suitable arrangement for women worshippers, and they have the privilege and authority like their male counterparts to pray inside. Thanks to the efforts of Arif Shah, he has so far designed over 300 'women friendly' mosques across Maharashtra. Interestingly, Arif Shah's efforts coincide with the reports coming from Turkey where the construction of Istanbul's Çamlica Mosque will dedicate large space for women with various services. With a budget of $66.5 million, Çamlica Mosque is being designed by two female architects, Bahar Mizrak and Hayriye Gül Totu. The mosque, to be the biggest in Turkey, will be built on 30,000 square meter area in the in the Üsküdar district of Istanbul. "The new building will account for "positive discrimination for women," said Metin Külünk, construction engineer and president of the mosque's foundation. "With a separate place for women to perform ablution and an elevator taking them to the place where they can pray, women will also be able to use a convenient childcare room," Külünk added. A special place for the disabled, a platform where visitors can observe prayers, an Islamic art gallery and museum, a library and a car park for 3,500 vehicles will be also included in the mosque. 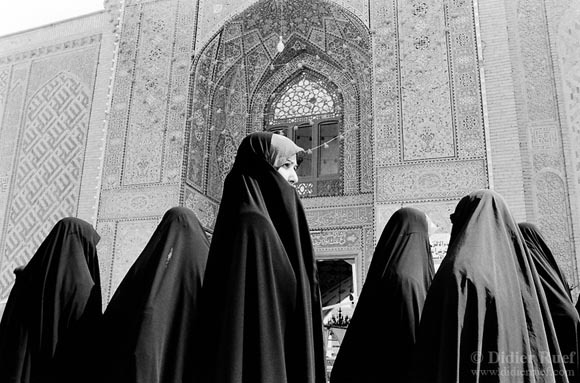 After its success, the idea of the female-friendly mosques has been adapted by other countries. A women-friendly mosque, with a combination of Ottoman Islamic architecture and the local traditions of Denmark and Scandinavia, is planned in Denmark's Aarhus city. Construction will start in 2016 if the local municipality agrees on "a decent location to build the mosque," said Metin Aydin, the mosque's architect of Turkish-origin. Similarly, a UK-based non-profit organization Faith Matters has prepared a directory of the 100 most 'women-friendly' mosques in England. "We began questioning why we are not catering to women's needs and not creating architecture to meet the needs of men and women," Fiyaz Mughal, the founder and director of Faith Matters, told the news agency Anadolu Agency. "[It] was initiated to show examples of good practices in relation to the involvement of women in mosques," Mughal said, referring to the directory. Will Muslim dominated parties empower Muslims in India? What about Muslim Villages, Mr Prime Minister!